The Helsinki Region Infoshare service (HRI), established and promoted by Sitra, has been awarded a European Prize for Innovation in Public Administration. The project was honoured in a category highlighting the public initiatives that best benefit citizens, at an awards ceremony in Ireland on 6 June. The prize money of EUR 100,000 will be used to expand the HRI open data service and to promote activities such as improving people’s access to information during public decision-making processes. The four cities of the Helsinki Metropolitan Area – Helsinki, Espoo, Vantaa and Kauniainen – provide the HRI service in collaboration with Forum Virium Helsinki. The service makes public data resources available on a one-stop-shop basis; more than a thousand open data sets are already available, including statistics, maps, city financial data and location information. HRI was established and funded by the cities of the Helsinki Metropolitan Area and the Finnish Innovation Fund Sitra, and is open to everyone, free of charge. Sitra believes that open data makes society more functional and can be used to build better services. Service provision based on this open approach may be a future success story for Finland, by creating new economic growth and building a sustainable public sector. 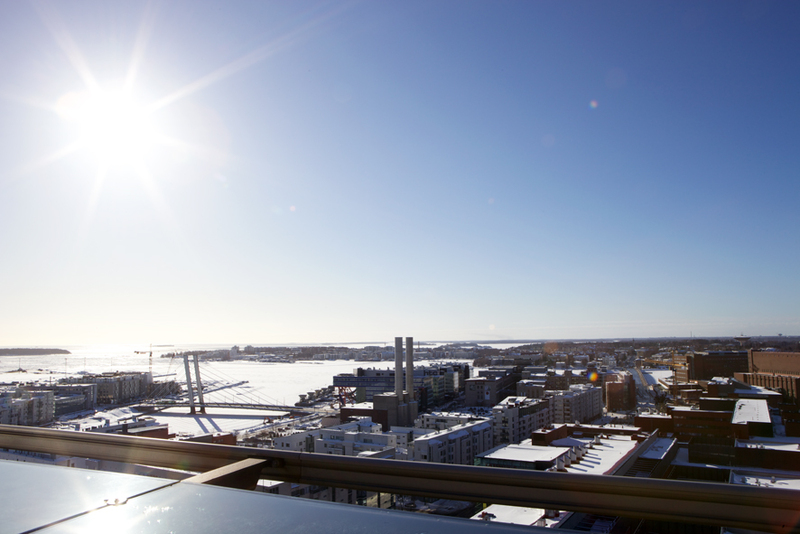 The HRI service has made the Helsinki Metropolitan Area’s cities into Finnish trailblazers in open data. Open data refers to the process of allowing unprocessed information accumulated by public bodies, businesses, organisations and private individuals to be made easily accessible to third parties, without limitation and free of charge. The opening up of public data makes administrative processes more efficient, increases transparency and democracy, and creates new local businesses and services. Sitra aims to expand the HRI service model to other urban regions in Finland, as well as creating new business around open data. A unique initiative on an international scale was introduced in March, with the publication of an application programming interface (API). This provides open access to Ahjo, the City of Helsinki’s electronic decision-making materials. Open Ahjo is a single point of access for public materials in machine-readable format. All of the relevant attachments are included. The agendas and minutes of the meetings of Helsinki’s City Council, City Board and various other committees form part of Ahjo’s documentation. Around 5,000 city officials and councillors produce content for Ahjo. “We plan to use the prize money to make Ahjo’s decision-making materials more compatible with other public administration data, such as financial data, location information and statistics. We also want open data to inspire the development of new innovative services for citizens,” says Director of City of Helsinki Urban Facts Asta Manninen. The European Prize for Innovation was accepted by Manninen and Forum Virium Helsinki’s Project Manager Ville Meloni on 6 June 2013 at the Week of Innovative Regions in Europe (WIRE 2013) conference held in Cork, Ireland. In total, 203 proposals from around Europe were entered into the innovation competition, organised by the European Commission to seek new ways of improving public administration. An innovation prize of EUR 100,000 each was awarded to nine initiatives in total. Under the competition rules, the prize money must be spent on raising awareness and on the project’s further development. Visit Sitra’s Helsinki Region Infoshare project pages via this link. Through a variety of projects, Sitra is redefining the idea of a good life. We seek human-oriented operating models and promote sustainable business.